Google Docs has tons of interesting features that can immensely enhance your productivity level as a teacher and educator. However, most of these features are hidden and you need to dig deeper beyond the simple compose, comment and share trio most users are used to. We have already covered several of these features in previous posts in the past which you can access here. 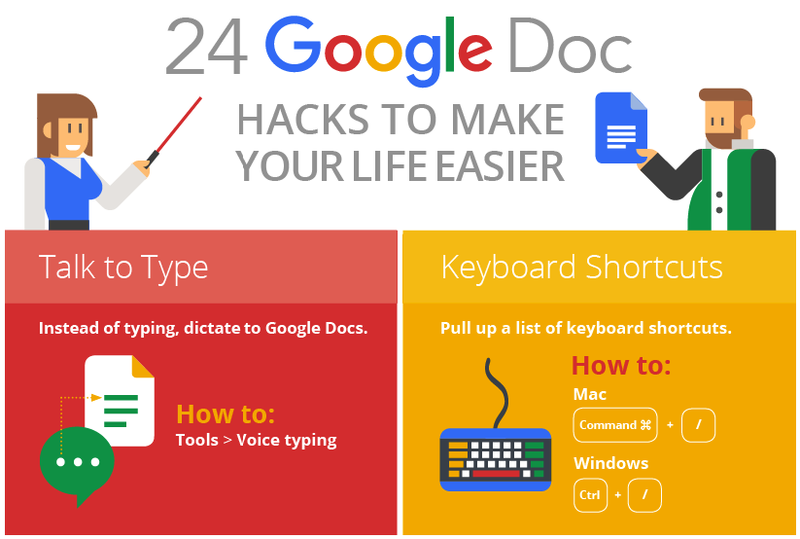 Today, we are sharing with you this wonderful infographic created by the folks in GetVoip featuring a quasi-comprehensive list of hacks and tips to help you tap into the full potential of Google Docs. There is also a section at the bottom of the visual with a number of useful add-ons to tryout on Google Docs. We invite you to check it out and share with us your feedback in our Facebook page.